Despite how we felt the week has gone or what improvements we still need to make, today is the time to congratulate yourself on another successful round of picking up the slack for a non-compliant pancreas. You did one heck of a job. I blame it on my dad. He was a list maker too. I can only guess that he came from a line of list makers. He used to keep folded yellow sheet instructions in his pants and shirt pockets. At the end of the day, he would leave his cryptic notes, along with an assortment of change, mints, chapstick and his wallet on the table located next to his recliner. Once in a while, I would open the notes and imagine that the words within held some kind of magic mystery. Even though I would eventually grow to realize that the 'magic mystery' was simply his ability to keep several construction projects moving forward, I still found his handwriting and those little notes to be enchanting. While my father is no longer with us, I did inherit his list making ability. I keep scraps of paper with little scrolls that read things like 'eggs, bread, milk, bottled water'. Or once in a while, my brain throws out some creativity and my list might read, "Paint Color = Water's Edge, egg shell rug, yellow throw pillows, glass lamp'. When I feel overwhelmed, having a list to attack and then later, vehemently cross off each completed task, feels very cathartic. Like I am making progress on life. Nothing will be overlooked with my handy-dandy list. And about that last list, that is a very real list from a few weeks ago when the time change seemed to arrive with a vengeance. But without that list making skill, I might not have known how up and down our blood sugars were. At least not until the next pump download. 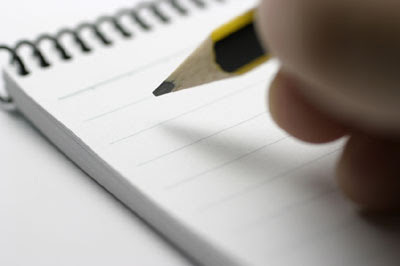 So while the lists that I write are not the most exciting, they certainly are the most important. 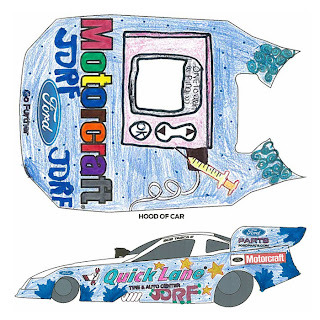 A few weeks ago, a flyer announcing the annual JDRF and Ford Motor Company Racecar Design Contest landed in our mailbox. 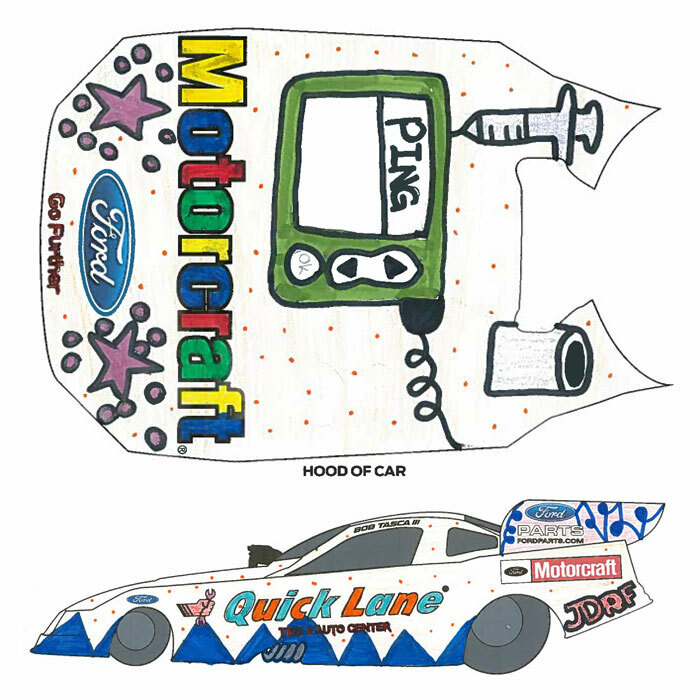 Since I often make, I mean let, the girls get the mail for me, they were the first ones to see the opportunity of designing your own racecar. "Mom", my oldest daughter shouted. "We have to do this!" While the oldest was shouting and frantically waving the application around, my youngest daughter was busy gathering up the necessary supplies of markers, crayons and colored pencils. Youngest daughter is as much of a 'doer' as oldest daughter is a natural 'director'. It keeps their relationship flowing nicely. In less than the time it took for me to give a nod of approval, they were both off and designing. A funny thing happened though, these two sisters worked on their art right next to each other. I am pretty confident that ideas were discussed (maybe the 'doer' switched with the 'director' or vice-versa) and while both say they are uniquely their own designs, I will let you be the judge! JDRF, Pumps, Syringes and Insulin. "Without insulin and our pumps, we wouldn't be here", my oldest daughter solemnly answered. "Yes. Insulin keeps us both alive so it is our hero", quietly explained my youngest daughter. "And JDRF is where we met our friends. Pumpy and Pumpster help us all day, everyday." Oldest daughter agreed and said, "We don't like shots but we have to have them sometimes. Some kids do not have a choice and need them everyday too. That's what keeps us alive, Mom." And they are right! Those three things are probably the single most important things in their lives right now. Unless, we work together to make a change. And by change, I mean to help research step closer to a CURE! 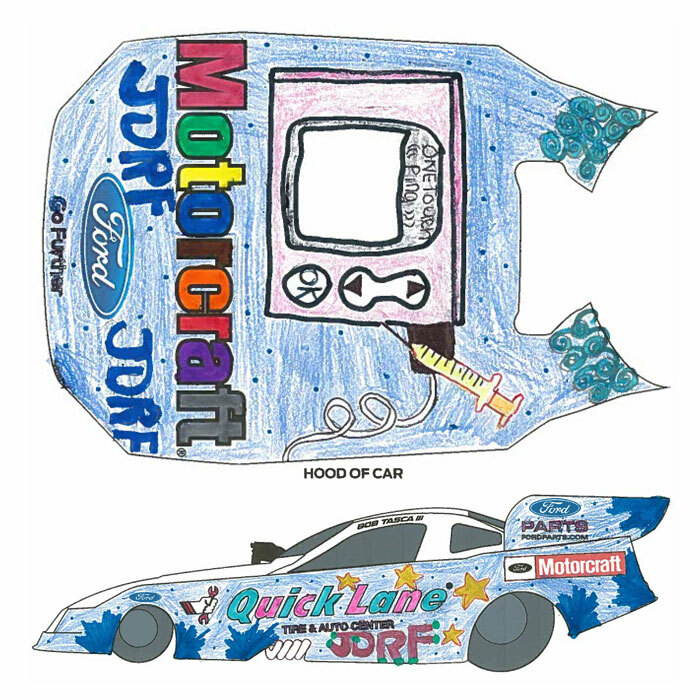 VOTE FROM MARCH 26 UNTIL MAY 3 TO GET YOUR DESIGN INTO THE TOP 10 BY MAKING A MONETARY DONATION TO JDRF. Then from May 3 - May 28, come back to vote for the winner! Each donation made will be credited toward the child's JDRF Walk to Cure Diabetes Family Team, ( our team is Naturally Sweet Sisters). Please bookmark our link to remember to vote! This is a great way to support JDRF without having to do more than enter a credit card or paypal information on JDRF's secure and safe fundraising website. Any amount helps and nothing is too small or heck, too BIG! Remember, your donation is tax-deductible too! This is especially great to share with friends and family that may also want to help but do not know where to go. I know that first year after diagnosis, I wasn't sure of how to ask family and friends for donations, but I know for certain that I could have easily directed them back to a fun link like this one. So please feel free to share with everyone that you know. The top ten donation-earning designs will then be narrowed down to one. 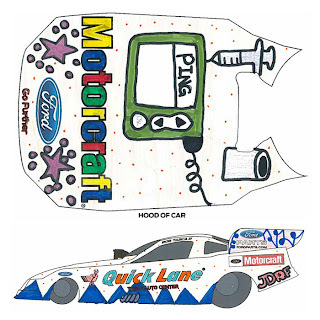 The winning design will be selected by a committee including representatives from FCSD, JDRF, Bob Tasca III and members of the media. And thank you from the Naturally Sweet Sisters! A couple of people contacted me after I posted the last set of data from the T1D Exchange and asked if I knew of any other research studies. I posted a link to the ULTIMATE STUDY LIST here in this post. I LOVE that we are all thinking of how to speed along the efforts of research and help us find better technologies and ultimately a CURE! As always, this give me great HOPE. T1D Exchange Biobank Study: You will make the difference! WHO: You! The Biobank Operations Center has begun contacting participants in the T1D Exchange to ask them to donate a blood sample for the T1D Exchange Biobank. WHEN: Now! You may receive an email invitation to join the Biobank, please be sure to respond if you wish to enroll and to be kept informed of future T1D Exchange Biobank studies. WHERE: Lab visits will be scheduled in your neighborhood, and all costs associated with the lab visit will be billed directly to the Biobank. WHY: To speed the progress of type 1 diabetes research by collecting blood samples from individuals living with type 1 diabetes and to create a resource of readily available samples for use by approved researchers. For more information, call or email: 1-877-280-5345 / Biobank@BenaroyaResearch.org. After recently completing our year one research follow-up questionnaire on behalf of the Naturally Sweet Sisters, I was emailed this update on the T1D Exchange Study and I thought I would share it with all of you. Most importantly, check out those A1c numbers. This is EXACTLY why I remind everyone that an A1c should never be a measurement of how hard you are trying or how well you are doing in your efforts as a pancreas. See the data? Enough said! Two new T1D Exchange studies are planned to begin in May 2013! Study Purpose: To find factors that are linked with severe hypoglycemia events in older adults with type 1 diabetes of long duration. Who is eligible? : Adults age 60 years or older who were diagnosed with type 1 diabetes prior to age 40 and either have had a severe hypoglycemic event in the past year or who have NOT had a severe hypoglycemic event in the past 3 years. Study Purpose: To assess the effect and safety of Metformin as an additional therapy in overweight children and adolescents with type 1 diabetes. Who is eligible? : Adolescents age 12 to less than 20 with type 1 diabetes who are in the 85th percentile or greater for body mass index. If you are interested in participating in either of the above studies and meet the eligibility requirements please contact your diabetes clinic to see if they are participating in the study. Normally, I have a fun post lined up for today but since we are about to embark on our vacation, we have been eating out of our own pantry and freezer food stores. Our tradition over the past decade, actually since on disaster trip where the power went out for days while we were gone - EWWWWWWW!, is to use up as much as we can. Then, when we return, we have a HUGE grocery shop to re-stock and rest. It is a major overhaul that ties in nicely with spring cleaning. Which is great! However, there is one sad little issue. Anything that is left, is really quite boring and mundane like the assortment of soups, frozen veggies and cereal. Basically, all of the stuff that you bought and no one wants. Um, even I have no real interest in what is left! Tonight's dinner is spaghetti and meatballs, just to continue to the trend of using up what we have. Already, one kid wrinkled her nose at me. This is not a favorite in our Naturally Sweet Sisters home. 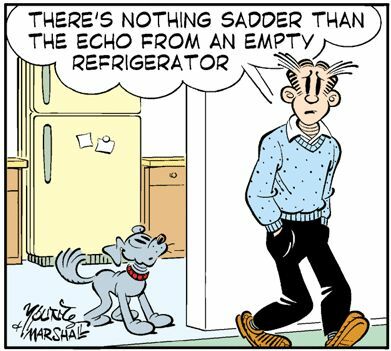 Especially with whole-wheat pasta - which is the item that appears to be left in the pantry. "Fine........ but I won't LOVE it. ", youngest daughter said with a bit of culinary disdain. Note to self... never buy that kind of pasta again! So this week's Fresh Food Friday is a reminder to eat down that stockpile in the cupboards, pantry, refrigerator and freezer before doing any more grocery shopping. Your clean house and your family will thank you for it! JDRF Promise Ball - Meet the Naturally Sweet Sisters and RSVP Today! Thinking you need a night out??? Why not head over to the Promise Ball! Click Here! Remember when I told you about this? 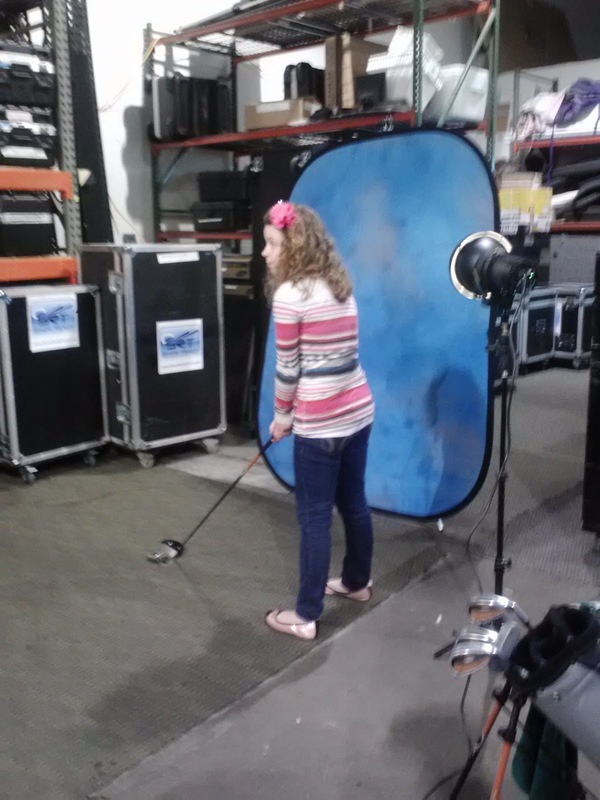 This is from the JDRF photo shoot for the 28th Annual Promise Ball. 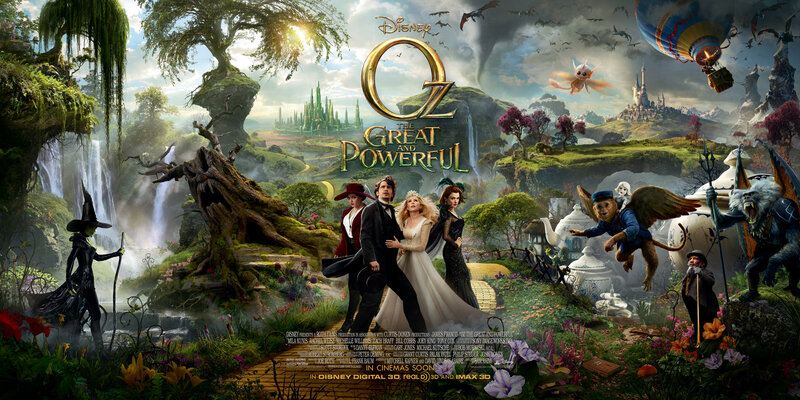 The ball will be held at the MGM Grand in Detroit, Michigan on May 3rd, 2013. For reservation information, click here. At the time, I couldn't believe that our family was selected to be part of such a significant fundraiser. 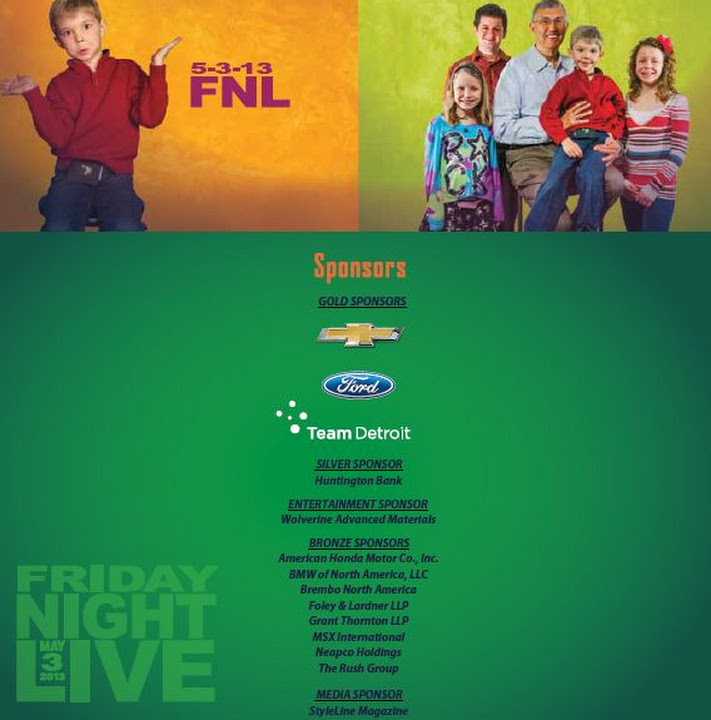 This is one of the single most important events that JDRF hosts. The money that is raised for this year's ball will go straight into the Artificial Pancreas (AP) project. For my two daughters as well as everyone else that is living with type 1 diabetes, the promise of the AP means that my children will be living a higher quality of life with less chance of sudden death from low (or high) blood sugars. Believe me, after almost seven years of living with this disease, not a moment goes by where I am not highly aware of the impact daily life (excercise, adrenaline, illness, nutrition, and insulin to name a few of our daily duties) places on our attempt to manage blood sugars. I often describe what we do as attempting to hit a bullseye while blind-folded and standing in darkness. It is very, very, very hard to live with type 1 diabetes, no matter how easy we try to make it appear. While I rarely talk about the possibility of death, the truth is that without better technology (and until there is a CURE), kids and adults living with type 1 diabetes are susceptible to this very grim reality. I don't like to think about it either. All proceeds from this year’s Fund A Cure will be directed toward JDRF’s Artificial Pancreas Project. JDRF has made the development of an artificial pancreas a research priority because this device has the potential to revolutionize diabetes care and support the effectiveness of the other cure therapeutics now being investigated by JDRF-funded scientists across the globe. An artificial pancreas will link an insulin pump to a continuous glucose monitor, providing the right amount of insulin at the right time, just as the pancreas does in people without diabetes. As a result, people with diabetes will be able to achieve more normal glucose levels and reduce their risk of the devastating complications of the disease. Your support of JDRF’s Artificial Pancreas Project through Fund A Cure will accelerate the development of an artificial pancreas and our progress toward improving the lives and futures of people living with type 1 diabetes. Your contribution is 100 percent tax-deductible. Join us as we make medical history. When I look at the pictures or read the words that JDRF has written, I still feel that same awe. 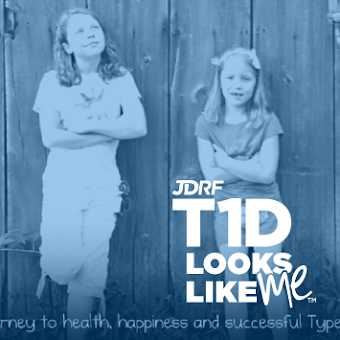 After all, our story is no greater than any other family who is living with type 1 diabetes. Each person living in the DOC is a HERO! With that understanding, our family feels a deep dedication to trying to do our very best in representing everyone in the DOC. We all want better technologies, better management ideas, better care and we will certainly share as many stories as we can to explain that and to ultimately, help JDRF get there. And by 'there', I mean a CURE! Now, my only hope is that we can help gather up some research dollars. Know someone who might be interested in attending? Please feel free to share this article and pass it along to everyone you know. Together, we can make medical history. It's no secret that the book that saved my sanity and taught me much about Diabetes 101 was Gary Scheiner's 'Think Like A Pancreas'. Written in 2004, the book was perfect for the diagnosis of my youngest daughter in 2006. From Gary's writings, I learned much of everything that I now subscribe to in terms of pumping insulin, making settings changes and even discovering how nutrition, excercise and growth impact blood sugars. If you haven't read the book, RUN TO THE STORE AND BUY IT!!! Or click here to find a link for ordering. After so many years of reading (and re-reading), I was discovering that my beloved, frayed and dog-eared copy wasn't enough. I wanted more. Something along the lines of Diabetes 102. A few weeks ago, Gary Scheiner released 'Until There Is A Cure, The Latest and Greatest In Diabetes Self-Care'. The title is pretty awesome, don't you think? A book that has every bit of hope that I have in recognizing that while we wait for a cure, we need to take care of ourselves to the best of our ability. After reading it, I was instantly hooked. 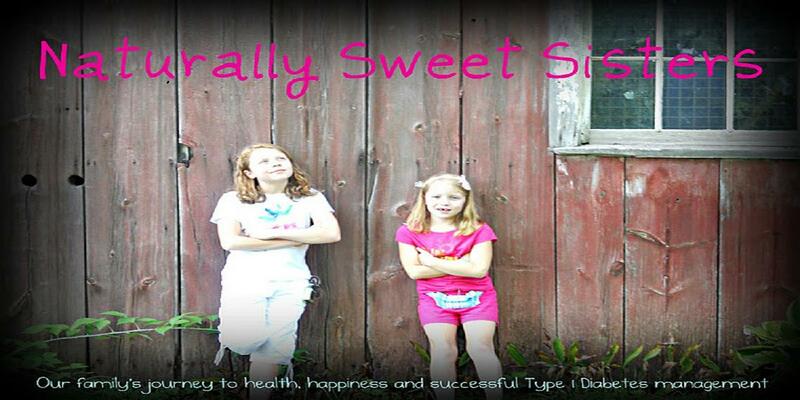 This is EXACTLY how the Naturally Sweet Sisters has been approaching type 1 diabetes. As Gary writes in his forward, the new book is all about keeping up with the numerous amount of changes that the DOC has seen in recent years; like changing therapies, changing technologies, even changing management styles. In comparison, he refers to his early dx years as the "stone age". Honestly, looking back on our first six years, I can see exactly what he means. What's even more likely is that if we don't understand how fast our care options are evolving, we might not ever get out of the stone age. Gary's book is so up-to-date that there is even a reference to the smallest blood sugar meter on the market, the iBG Star (review here) as well as a deeper understanding of the difference in fast acting insulins such as Humalog, Apidra and Novolog. Did you know that there is abolutely no peak in Apidra and that it is out of your system in less than 3 hours? Or that Novolog can last for up to five hours or that Humalog, the most expensive of the three, also needs 10-20 minutes to start working? This book reads like a good reference manual. Already, my copy is showing signs of dog-ears. I can't help it. I have to go back and re-read sections again and again because with type 1 diabetes, there is always something new to learn. Thanks to Gary Scheiner for helping us discover all of that information in one fabulous book. Please note: I bought my copy on Amazon and you can find the link here. Last night was our first 'Junior High Parent Meeting'. It was the first meeting designed to gain an understanding of how the junior high schedules courses and what children and parents should expect upon enrolling. A little bit scary for all of us; even our oldest daughter. We went thinking the worst; after all, this is JUNIOR HIGH... the stuff bad tv sitcoms are made of. Boy, we couldn't have been more brainwashed. In short, my expectations were blown away. The school offers a multitude of classes from Forensic Science, to Introduction to Business, to Leadership Skills to Drama (and a million other choices - Introduction to Guitar, anyone????) I know the hardest part of the year will be for my daughter to narrow down the choice list and choose her classes. And that is really a GREAT problem to have. But before the parent meeting started, I had a chance to meet and greet the principal. I thought it best to introduce myself and my husband. (Our daughter stayed home to babysit her sister - which is another milestone all by itself). I also introduced type 1 diabetes. I wanted to make sure t1d was on the table immediately so that we could put faces and names together. After all, the school and our family will begin to get to know each other intimately through a series of 504 meetings. Before I could anything further, the principal looked at me squarely and said, "Don't worry about type 1 diabetes at our school. You're in great hands because we know exactly what to do and we know how important it is to take care of your child. We have a trained paramedic in the office, our teachers are familiar, my assistant principal knows, I know and just to be sure, we will have lots of meetings to decide how your family would like to manage your child's care plan." To hear those words well, I don't think there could possibly be a better introduction to a new school. After talking a bit more, the principal also shared that another current student had just been diagnosed with type 1 diabetes. He then said the words that always bring me mixed emotions. "Your daughter will not be the only one with type 1 diabetes." The only thing that can erase those emotions would have been to hear, "We've CURED TYPE 1 DIABETES!" Someday.... but until then, I am enjoying a moment of walking into another school that appears to instantly 'get it'. When you read this, it will be Saturday. And I will be at the movies with my girlies. I will also be unwinding from a very stressful week. There is nothing like sending your youngest off on a field trip, minutes after recovering from a 40 mg/dl blood sugar and pretending to the rest of the world that everything is fine. Or getting a text from your oldest daughter, who is now playing floor hockey, who felt low, didn't test but treated but is now "fine". Later, when you look at the CGM, you see that the low wasn't just a low, but dipped down into the 30s. You sit and wonder at exactly how "fine" she was. Or waking up to a screeching alarm telling you that your child has dipped into dangerous lows - then realizing you must have slept through all of the other alarms to get to that point. Or reminding both daughters to pay attention to those CGM alarms and to console them when they remind you that 'no one else has to do that'. And in between all of that nonsense (and more but it all starts to sound petty at this point), you have to deal with every day moments of parenting. Including a little bit of reminding that there are rules for a reason. So when Saturday rolls around, I will take a moment to marvel at making it through the week and coming out no worse for wear. I don't know how we do it. Do you??? I freely admit that we are weird family. After all, to get through the ins and outs of type 1 diabetes, you have to have a sense of humor. I think love and whole lot of humor help make most situations bearable. So if you are looking for something to giggle over and if you have some old infusion sets (expired especially work well), than plan a re-training seminar with your family. Since it is still the beginning of the year, it is a good time to rotate those emergency back pack supplies and use up what you have left. This is also great to try with that expired Glucagon. I like best to try to remember to do this about the same time that I am typically change the clocks and smoke detector batteries for daylight savings time. Just a friendly little reminder - you'll be glad you practiced! My youngest daughter is a sleeper. She loves nothing more than to throw on a pair of pjs and to snuggle up in the nearest blanket and take a nap. In the early morning hours, she has been known to wake, eat and then hop right back into her bed for another sleep. Sometimes, the thought of her Hashimoto’s crosses my mind, but to tell you the truth, she has always been like this – even when her thyroid is in perfect range. It is just part of her personality. Now, the challenge is managing that behavior when she is supposed to wake up for school. Since we live almost directly across for our elementary building, I often let it slide. She needs only to be at school by 9:00 a.m., which means that she can safely sleep until 8:30 a.m..
A few days ago, we were getting perilously close to missing that little window of wake-up time as my youngest daughter just flatly refused to get out of her bed cocoon. I didn’t feel like starting a battle, so I came up with another plan: breakfast in bed! Instead of forcing her out, I loaded up a tray with pre-measured Chocolate Chex and Soy Milk and half a banana smeared with peanut butter. I totaled up the carbs and headed upstairs. The look on her face was priceless when she saw her very own breakfast in bed tray. While she was admiring her feast, I quickly tested her bg and bolused her. She happily (and quickly) ate everything up and then jumped out of bed, excited to get to school to write in her journal about breakfast in bed. A small paradigm shift = A happy mom and daughter. A few months ago, one of my dearest friends and fellow type 1 diabetes mom, Sheila, and myself were approached about the possibility of hosting the annual JDRF Walk to Cure Type 1 Diabetes. Our position would be the JDRF Family Team Walk Co-Chairs. My response was to sit in stunned silence with my mouth gaping. Yeah, not really a "pretty" moment - just glad that the question wasn't accompanied by a photo session! Sure my dear friend was a great fit. She is that kind of mom that is a wonderful combination of kindness and knowledge. Plus she is amazing at fundraising and hosts these fun scrapbook events - ALL YEAR LONG. She tirelessly works for not only her two little boys, but for all of our children living with type 1 diabetes. I adore her entire family and often, text her randomly just to lean on her shoulder. Yes, I would ask her too! What have I really accomplished? Many days, I feel like I am doing my best if I can get the girls out the door with enough insulin in their pumps. Or heck, if we remember to charge the battery on their CGM before it shuts down. Our walk team isn't the powerhouse of raising money although I do feel much like the little engine that could and we do try hard. And knowledgeable? I am STILL learning... even six and half years later. Once in a while, I even cry. Yes. Me. The mom of the Naturally Sweet Sisters. Really, I am still a work in progress. I can't deny it. So after a few minutes, I realized my mouth was still hanging wide open but I remembered that doesn't really look so pretty, so I slowly closed it. Then, I started to think. And think. And think. I thought about it for several weeks and even after one dinner with the former JDRF Family Team Walk Chair (And yes! The former friend did on her OWN and was FABULOUS!). I thought a lot because, ultimately, I didn't want to let JDRF or all the other wonderful families - including my own - down. My daughters were the ones to convince me. Although they didn't really know what was going on - because I feel often that children shouldn't know until decisions are made - I overheard them discussing a recent infusion set change. It had hurt their bodies and they both were unhappy. The thing is that while I most certainly not perfect, this situation of living with type 1 diabetes can be frustrating, confusing, painful and depressing. The only way that any of this will ever get better is through better technology and ultimately a cure. I have a responsibility to be a part of that process too. In fact, we all do. I want to one day look at my girls and have them understand that I did everything that I could to help make a difference in their lives. Sure, it may not even be close to perfection, but I tried. I did the best that I could. Finally, I had one last thought. WHAT THE HECK AM I WAITING FOR? YES! And with that moment of clarity, I jumped in with a huge GRIN and a big YES! Because here is the deal; maybe I am not a powerhouse of fundraising and maybe some days my only victory is teaching the girls how to put on an infusion set themselves, but that's what makes me REAL. I'd like to think that a lot of us parents are doing just that... the very best that we can. My job will be to encourage, welcome and represent all of the families that make up that same demographic. Sure, we aren't perfect, but we are all deeply committed to keeping 'kids first,diabetes second' and ultimately helping research get to a cure. So I invite all of you to come out to Dexter, Michigan on September 29th, 2013 from 8:30 a.m. until 11:30 a.m. to represent all of our wonderful children and adults that are living with type 1 diabetes. You can even sign up to make your own team or join ours: The Naturally Sweet Sisters. All of us together CAN MAKE A DIFFERENCE - Just jump in with a huge GRIN and say YES! Each year, more than 500,000 people “walk for a cure” at 200 JDRF locations worldwide. Funds are raised by individual and team walkers obtaining donations from family and friends, corporate sponsorship and the sale of JDRF paper sneakers at retail outlets. Last year, JDRF’s Walk program raised $85 million worldwide to support diabetes research and research education. For more information, contact Deb Wallace at 248-355-1133 or dwallace@jdrf.org. For more information, contact Lori Lamb at 419-481-8223 or llamb@jdrf.org. For more information, contact Kathy MacBride at 989.529.1951 or kpdiabetes@charter.net. For more information about these Walk sites, contact the Michigan Great Lakes West Chapter at 616-957-1838. Oldest Daughter: Mom, I am out of insulin. Me: OK. Do you need my help? Oldest Daughter: No. I got it. Oldest Daughter: Mom, I forgot. I have to change my pump battery. Me: Alright. Did it just alarm? Oldest Daughter: Yes, but it happened earlier too. Oldest Daughter: Mom. My site came off in the shower. Me: Oh-oh. Well, let's get a new one. Do you need my help? She's eleven and suddenly, she's got it. Now to make sure she knows that she doesn't have to carry it alone. Yesterday sparked a little debate over the post from one member of the DOC; a self-proclaimed Diabetes Dad, who wears a second hat as a paid blogger for one research company. His two-part (and ultimately a three-part including the aftermath apology), shocked and awed much of the DOC family by leading into a possibility that something BIG was happening the very next day. I followed along, just like everyone else who has a loved one (or two!) investment in hoping that very BIG thing would be a CURE. In the end, the conversation turned to the possibility of a new technology that would be like a cure but with the added need for the DOC to give more money to continue research and development. Which I think left many of the DOC feeling let down. We weren’t any closer to that elusive CURE than we were a day before. The Diabetes Dad sparked a little something in everyone. That little something called passion. Right or wrong, he inadvertently started conversations and fueled desire to DO SOMETHING. ANYTHING! In our own real-life JDRF Coffee Group, several moms started a conversation regarding where fundraising dollars were best used. The debate brought out points on the DRI’s strategy of creating the bio pancreas as well as JDRF’s new campaign which advertises the treatment of the person living with type 1 diabetes (not just finding that cure). In one of my favorite online communities, the conversation raged further to the discussion of whether or not HOPE was dashed or if people should continue to believe that a CURE might ever be found. They discussed the idea of wasting energy and resources on continuing to look. 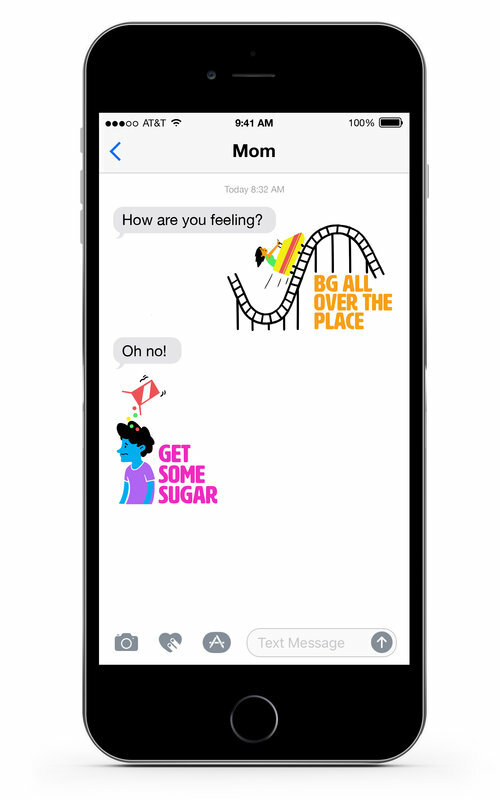 In my own home, the Naturally Sweet Sisters Dad and I took a moment behind closed doors (knowing that this topic is too hard for children) to talk quietly about our own personal feelings regarding the Diabetes Dad and aftermath of sparks. What we came away with is this: Everyone in the DOC is right. Well, there are really two critical components here. The first is that we have to continue to give the best care options that we can to promote health and wellness in our children. Just as we ensure our children wear helmets and seatbelts to keep them safe, we must make sure we continue to provide our children with the best insulin and products to keep their bodies as safe as we can. Well being in the short term is our immediate need. The second is that we must never give up our HOPE to one day find a CURE. I post studies all of the time on our Naturally Sweet Sisters face book page. From things regarding stem cell regeneration to cures in dogs. All of these studies are important, actually critical to garnering information for that CURE. One of my favorite quotes is from Thomas Edison: "I have not failed 10,000 times. I have successfully found 10,000 ways that will not work." And that is exactly what WE (meaning the DOC, DRI, JDRF, NHI, ADA, Dr. Faustman, and all of the other researchers) are doing to improve BOTH our lives while living with Type 1 Diabetes AND a CURE for Type 1 Diabetes. I can’t speak for everyone on the topic of where money is best given. That is a personal choice. 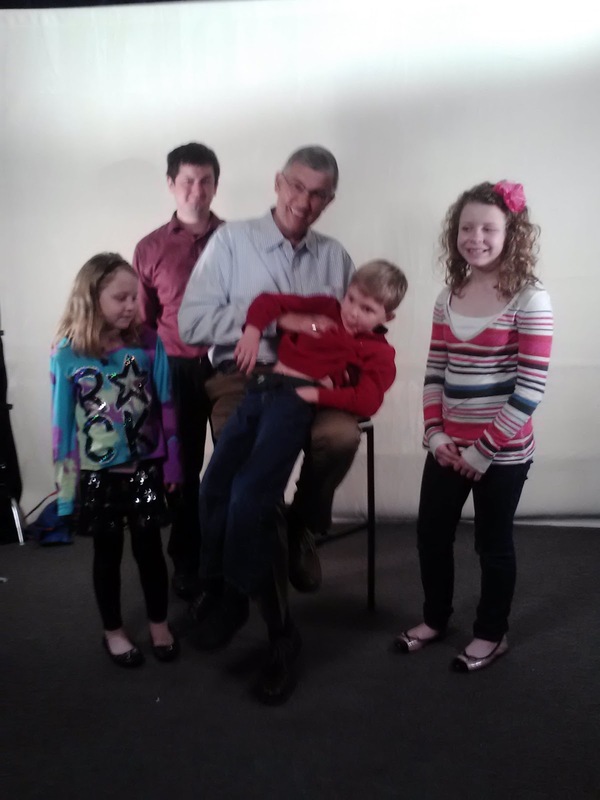 As a strong advocate for JDRF, I do encourage you to consider their efforts most of all. What many may not realize is that JDRF has funded much of the research that you hear and read about in the news. While they are working towards a CURE, they are also continuing to keep us in good immediate health and care. Yes, I want to see an insulin pump that avoids deadly low blood sugars and yes, I want to have a day where we throw that technology away - for good! To learn more about what JDRF is working on, I encourage each of you to attend a conference or a summit in your local area. In fact, the 2013 JDRF Research Summit will be held on March 9th, in Bethesda, Maryland. Details for the event can be found here. Knowledge is power against feeling let down or betrayed. We haven't done a craft project in a few weeks, so I thought it might be great idea to share a new activity for families living with type 1 diabetes. Everyone carries some sort of test kit, right? Well, today we are going to Bling Your Blood Sugar Meter Test Kit! What you need is a box or make-up bag, stickers and anything else that you want to glue to the outside of your case. Then once you have your supplies, start "blinging"! Hint: I like to grab bags and boxes when they go on sale and stash them away until we need a little fun craft day. It makes living with type 1 diabetes, a little bit more fun and helps to chase away any blues from day in and day out care. This is also great for personalizing test kits for school, grandma's house or even just extra supplies in the car. When you are done, load up your new "Blinged", one of a kind, blood sugar meter test kit and ENJOY! Over the years, you might have noticed a subtle change in the Naturally Sweet Sisters - because goodness knows, I sure have. Out is the toddler age and in seems to be the tween/teens. Hold on to your seatbelts, because I think this is the time of life that becomes very interesting! No longer am I able to just lay out an outfit or style their hair, they want to make sure that THEY feel like the style represents THEIR choices, not moms. This natural change to becoming independent is no different when it comes to type 1 diabetes. They want to voice an opinion about how they manage their type 1 diabetes and believe me, they want it to be as cool as possible! Enter the iBG Star blood glucose monitoring system from Sanofi-Aventis US. When the iBG Star came onto the market during 2012, both of my girls were excited to learn that a new microscopic sized meter could be theirs. For the first time ever, the girls explained to me, having a meter might actually be a cool thing to carry to school. Unfortunately, when the product launched neither one of my girls had an i-Anything, so I assumed that the iBG Star was out of their reach - at least for the time being. Then at one of our local JDRF Coffee Group meetings, a representative came to show us all the iBG Star in an up close and personal format. It also happened to be on a day off from school, so both of the Naturally Sweet Sisters were in attendance. 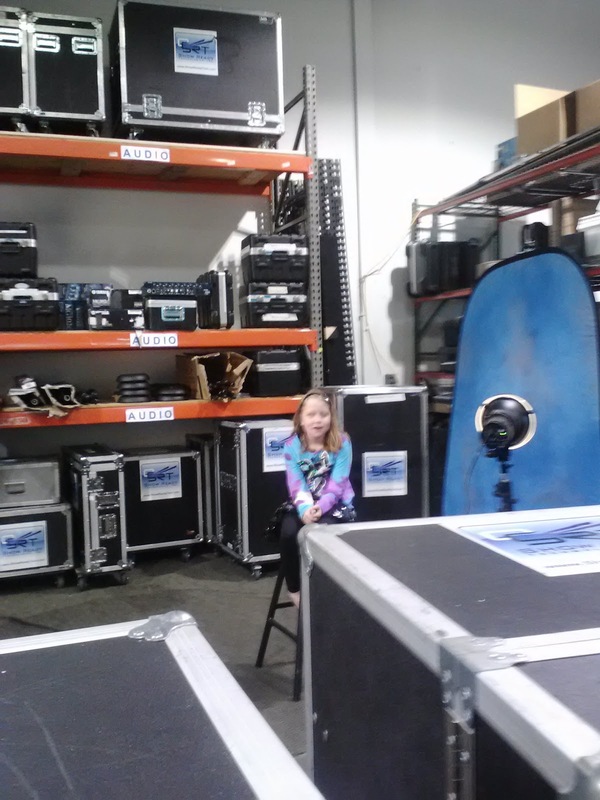 As soon as the rep pulled out her sample meter, my oldest daughter perked up and nudged her little sister. "Look!" I heard an audible gasp and the next thing I remember, both girls were practically sitting on my lap with wide- eyed yearning. "Pleeeeaaaaaasssssssseeeeeeee mama!!! We need that! ", they both said with excitement. I have to admit, it WAS a cool meter. Tiny and shiny - like a little bling accessory on your iPhone/iPod. That circle is actually a quarter. See how small the meter is? My oldest daughter reminded me that we already solved one problem since Santa had graciously bestowed an iPod Touch on her. Overhearing her, the rep explained that while having an iPod or an iPhone was great in storing data logs, it wasn't even necessary in using the meter. The meter can run as a stand alone system without need an i-Anything. Youngest daughter, still without an i-Anything, gave me a doubly hopeful look. It was obvious that BOTH girls wanted to try this new meter. However, there was still one other problem and that was being able to afford test strips since our current durable goods provider, Solara, does not have approval to sell them. The rep admitted that to date, the only distribution for the test strips was through pharmacies. Then, last week, Walgreen's (mentioned to me by a dear T1d mom who witnessed the sisters excitement) had a special for the meter for around $5.00. A bonus was that the meter included 10 free strips. I decided to go ahead and have two shipped to the girls and have them both review the meter. Out of the box, the meter comes with several items. I kind of like the idea of all of the newer gadgets using the same micro usb cord. Keep things simple! The iBG Star blood glucose meter, lancets, dock connector cover, lancing device with cap - works with most BD ultra fine 33-gauge lancets, power adaptor, micro USB cable and control solution. There is also a handy dandy reference guide, warranty card and a savings card for test strips. The best though, is that Sanofi-Aventis included 10 strips with each new meter. Love! There is nothing worse in my opinion, that receiving only a meter and nothing more. I like to try new things right out of the box and not have to wait. Plus at a $1.00 per strip and the entire box costing only $5.00, it is like getting strips for nothing! Once you open the box, the iBG Star is fully charged and ready to go. Another huge plus if you are impatient (like us!). One click on the right hand side button to "wake" the meter, then insert the strip and wait for the picture of the strip and blood dot. Here is what we found. The test was super fast and came in at 6 seconds. The amount of blood needed for the strip is only .5 microliters. In reading the manual, the meter will read out for any blood sample that is as low as 20 mg/dl and as high as 600 mg/dl. There is NO coding (thank goodness because boy, did we despise that on some of the older meters) and the memory of the meter is up to 300 blood glucose readings. That's quite a bit from such a tiny meter! Check out oldest daughter after her blood sugar test; her iBG Star meter reading was 148 mg/dl. OK, so it was a GREAT reading, but I promise, I would have shown a dud too. Remember, the only bad number is the one that you do not know! But can you see the DexCom G4 right next to her iBG Star? Well, here is the tricky thing; the iBG Star meter read out 148 mg/dl and the Dexcom G4 shows only 122 mg/dl. However, see the arrow pointing up on the DexCom G4? We took this reading AFTER dinner while oldest daughter is working on homework. We ate soup, sandwiches and milk, so that reading on the DexCom G4 might be a little slower with the heavy fiber and protein slowing down the impact on her carbs. It is really too soon for us to have a good feel on how fast and how accurate the iBG Star is. Unfortunately, with only 10 strips, I am not sure if I can get a great answer for a while. A few more pictures to show you how the iBG Star looks with the iPod Touch. The free software from the APP Store loaded in under 2 minutes and instantly, oldest daughter was able to customize her blood sugar reports. She can also send me the information with a simple keystroke. One item that she is particularly excited about is discreetly using the meter. From her point of view, less kids will notice the meter and more will just see it as "texting" not "testing". For any tween, type 1 diabetes or not, fitting in is a common concern and this might be the thing to boost a little bit more of that confidence in self. Really, see that happy face? That makes me interested in sticking this out. Part of my reasoning is that oldest daughter is taking on more of her own care and finding out what SHE LIKES is much more important than what I like.